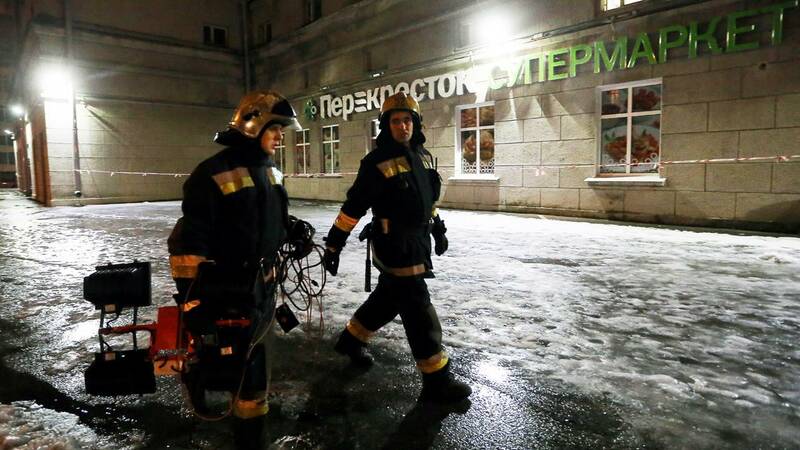 MOSCOW (CNN) - More than a dozen people were injured in an explosion at a St. Petersburg supermarket Wednesday, according to Russian state media. President Vladimir Putin called the blast a "terror attack" during an address to military officers Thursday in Moscow, calling for a full investigation. The city has been a target for at least one other explosion this year. Fourteen people were killed and dozens more were injured on April 3 when a suicide bomber detonated explosives in the city's metro system.